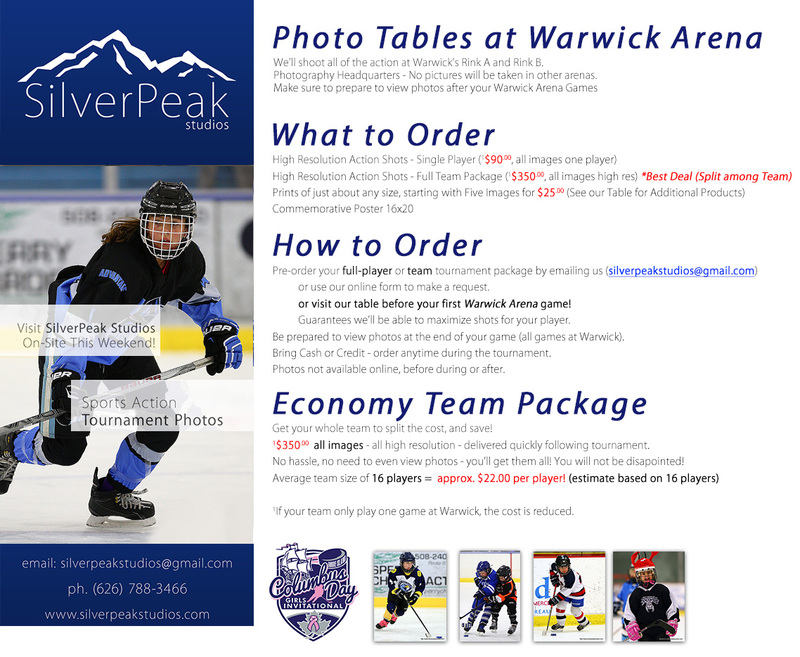 SilverPeak Studios is going to shoot all of the action at this year’s 2nd Annual Columbus Day Hockey Tournament in Warwick, RI on October 7th-10th, 2016. Please visit our tables before during and after your games for details on schedule of shooting. If you would like to purchase photos from the tournament, and get on-site pricing, please contact us using the form on our home page. You may still purchase a player package ($90) just fill out the form, and we’ll send you an invoice – it is secure and easy! Order your Team or Player Package! and be sure to pick your favorite shot to be made into the tournament commemorative poster.